University of Sydney Union (USU) President Michael Rees has announced candidate Zhixian Wang has been excluded from the 2017 USU Board election, at this afternoon’s Candidate’s Soapbox. The USU Returning Officer found Wang was posting on WeChat and offering a large group of University students money, through WeChat’s ‘Red Packets’ functionality, to encourage students to vote for her. 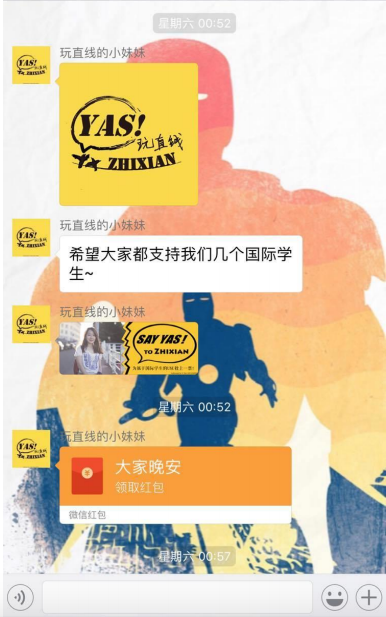 Screenshots showing Zhixian’s USU campaign offering money to students for votes on WeChat, using WeChat’s ‘Red Packet’ function. She was found in breach of USU Regulations t 8.10.1(1) and r 8.10.1(p)(ii), which prohibit candidates from bribing students for votes, and publishing material “that is, or is likely to be, misleading or deceptive”, respectfully. This ban also follows accusations from a fellow board candidate, who prefers to be anonymous, that Wang had chalked campaign slogans on the bridge connecting Wentworth Building and Eastern avenue that allegedly bribed students for votes. The phrases (““办证”, “迷药), when translated, are alleged to mean she would “provide you with fake ID and drugs that make you sleep if elected”, according to the complaint submitted to the Returning Officer. But before her exclusion, Zhixian had told Honi the phrase ““办证”, “迷药”, appears on city walls of city buildings regularly in China and can be classified as ‘Graffiti Art’. “[The phrase] carries with it cultural connotations that are deeply rooted in Chinese people’s memories,” she told Honi. 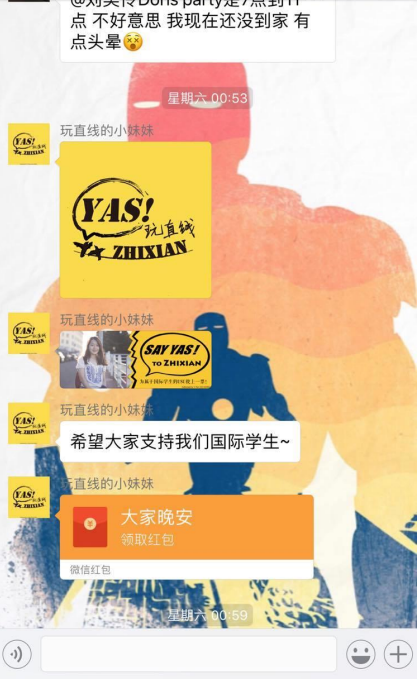 Zhixian told Honi she realises “it was inappropriate and may lead to misunderstanding for people who are unaware of the cultural background behind these Chinese sayings.’ The chalking has since been removed. Rees said an official statement will be available on the USU website shortly.